There has been a surge in people making the crossing to primarily the country's Andalusian by sea from Morocco. 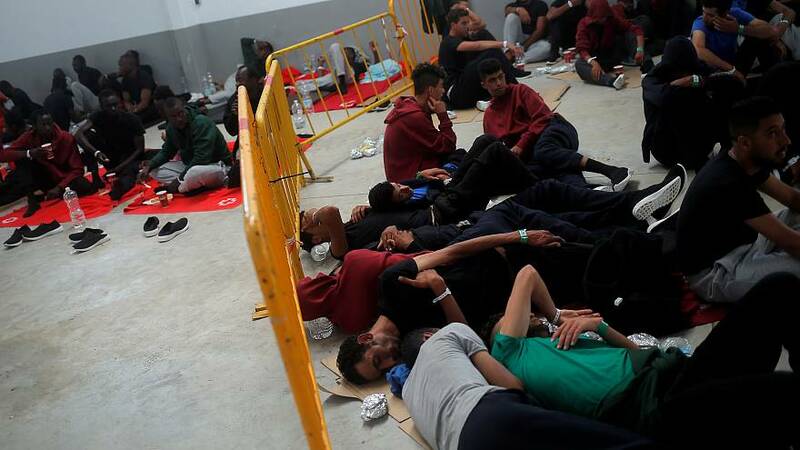 As a clampdown on the route between Libya and Italy has taken hold, an increasing number have moved west, making Spain the biggest European destination for those seeking a better life. Between January and July this year, more than 20,900 migrants and refugees have arrived in Spain, triple the number arriving in the same period last year. At this rate, the 22,100 for all of 2017 will be rapidly surpassed, according to the International Organization for Migration. 38% of those migrating to Europe from Africa by sea now arrive in Spain. On Monday, the new government of Pedro Sánchez announced an emergency plan to manage its new status as the main point of entry. 30 million euros will be invested in managing arrivals on the beaches, the process of identification and determining whether people qualify for asylum. With arrivals stretching services to their breaking point, Spain's Interior Minister, Fernando Grande-Marlaska paid a visit to Algeciras at the weekend - a coastal town bearing much of the strain. There, he blamed the previous Popular Party Government for the situation. "Migration is a European problem" he said, "therefore it needs a European solution. This is not something that just caught us off guard , this should have been already planned for. "I have always said there has been no foresight or plan from the former Government of Rajoy". For their part, the Popular Party have criticised the socialist government for creating a ' pull effect' " for migrants seeking a better life in Europe. Two months after taking office, premier Pedro Sanchez, stepped in to offer refuge to the migrant rescue ship, Aquarius, after Italy refused it access to ports in Sicily. Meanwhile, the European union points to Morocco for refusing to host reception centres for migrants in the country, an issue to be discussed at an EU summit in Brussels on Thursday.